impulseSave® is our first-of-its-kind technology that helps you add money to your investments in an instant. We believe that impulseSave® can change your habits and the way you invest your money for the better. impulseSave® is directly linked to our goals-based approach to saving and investing that enables you to always have sight of your financial goal and any gap that develops to that goal. With the click of a button or the tap of a smartphone, you can bridge that gap and get back on track. At the heart of impulseSave® is technology that enables you to top up your investments whenever and wherever you want. impulseSave® ties in to our goal-first approach to saving, because we believe that when you have a reason to save, you’re more likely to reach your goal. 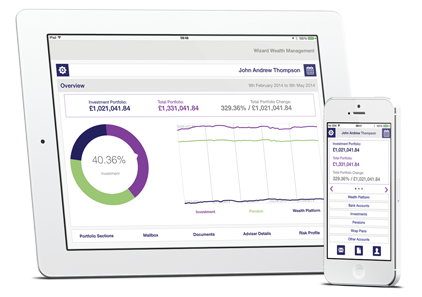 Using our platform, you can track your progress 24/7 online through your personal client site or via a range of apps. If you find a gap between your savings and your goal, you can use impulseSave® to top up your account and close the gap. You can use impulseSave® to top up your existing Stocks & Shares ISA, TPI Pension and General Investment Account at the touch of a button, with as little as £1, wherever and whenever you want. impulseSave® is available to all our clients, through our financial advisory services, investment advisory services or self-directed investments service, as well as through over 700 directly authorised firms we work with. If you’re interested in changing your spending habits for the better and reaching your financial goals faster, impulseSave® can help. Log in to your client site to contact your financial adviser, use our tool to find your local True Potential financial adviser or visit True Potential Investor. True Potential Investments LLP is authorised and regulated by the Financial Conduct Authority, FRN 527444. www.fca.org.uk Registered in England and Wales as a Limited Liability Partnership No. OC356027.